For July's "Fill The Cookie Jar", I found a cookie that covered the "Summer" theme, as well as "Patriotic". This cookie seemed to always track back to a Martha Stewart recipe for Strawberry-Shortcake Cookie. Since she is the original "Martha", I followed her recipe, with just one tweak, I also added some blueberries to the mix. Why not, right? I honestly never considered enjoying strawberries in a cookie before this recipe. I have been mising out! These are amazingly delicious! But, this is one cookie that definitely is at it's best when fresh. Please take a minute to scroll down and see what all the other bakers are sharing this month! In large bowl, mix together 1/2 cup sugar, flour, baking powder, and salt. Cut butter into small pieces then add to flour mixture. Cut in with pastry cutter, until coarse crumbs form. Stir in cream, mixing until dough forms. Dough will be VERY dry. Add strawberries and blueberries, mix well. Using a medium scoop, drop dough onto prepared sheets about two inches apart (these will spread). Sprinkle with sanding sugar. Bake for 20-23 minutes, or until light golden color. Cool for 3-4 minutes, then transfer to wire rack to cool for 30 minutes. 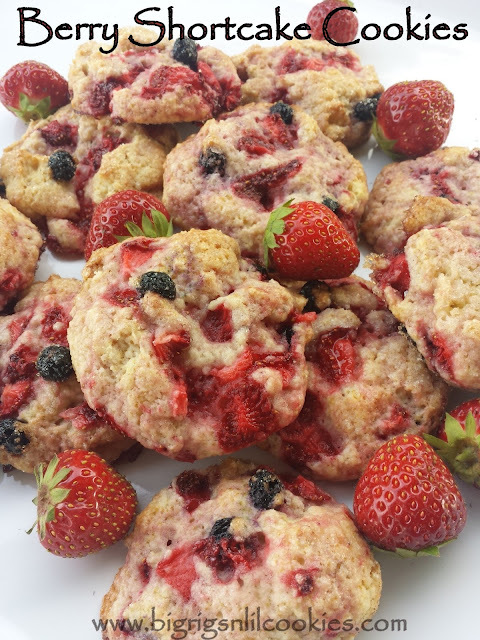 These cookies look berry delicious and so healthy that I can even enjoy them for the breakfast! Berries mixed in shortbread sound delicious! Great baking with you this month! oh my yum! And I love the double summer/patriotic themes going here. 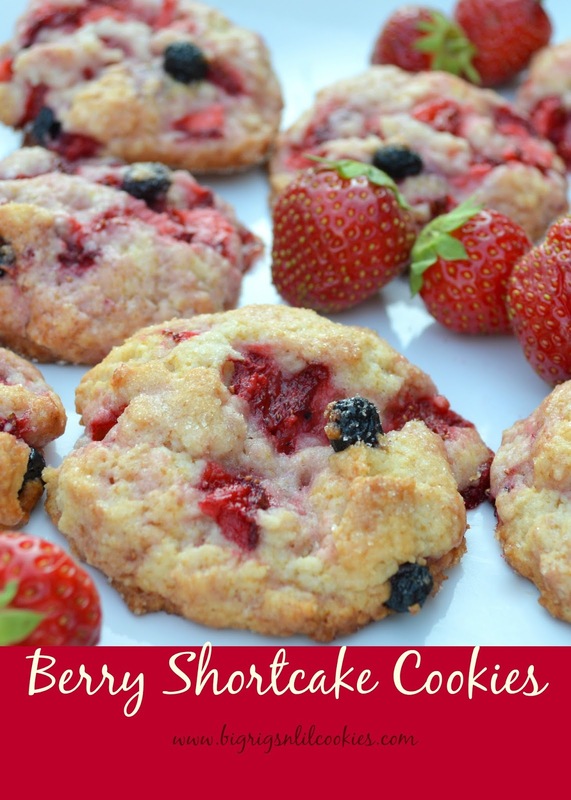 Hi Kris, love this easy and delicious Berry Shortcake Cookie recipe. Shortcake is a favorite of mine and I'll definitely be adding this to my 'must make' list especially while the berries are still reasonable. Thanks so much for sharing your delicious recipe. I love those chunks of berries! These look perfect for the 4th and I think I have all the ingredients I need :)! Oh my, this looks like a heavenly cookie with some nutrition as well. They look awesomely delicious..............definitely want to try these for sure. These cookies remind me of cookies that I pick up at Target when I go shopping. Now I don't have to spend so much for a few, I can make them at home and have a bunch! 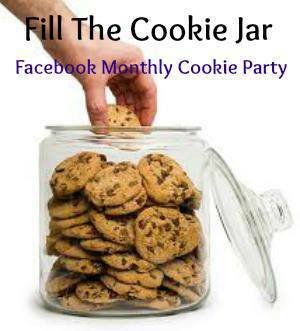 Thanks for sharing at the Fill The Cookie Jar group! I have a pint of fresh strawberries in the fridge that these would be perfect with.. The perfect summer cookie. Oh my, these look A-MAZ-ING! I've never had fresh strawberries in a cookie, but I need this to change right away! Fun idea with the strawberries, I never would have thought. Thank you for sharing. I made the same cookies, they are delicious!!! i've never used strawberries in cookies myself! these are beautiful and must be some of the most complex-tasting cookies ever--bravo! Those look great for a picnic basket! I'm sharing across all my social media.